Depending on where you live, you probably see fewer birds during the winter months. Many species migrate to more temperate areas, some traveling hundreds of miles. But there are those birds that stay behind, even in the coldest weather. 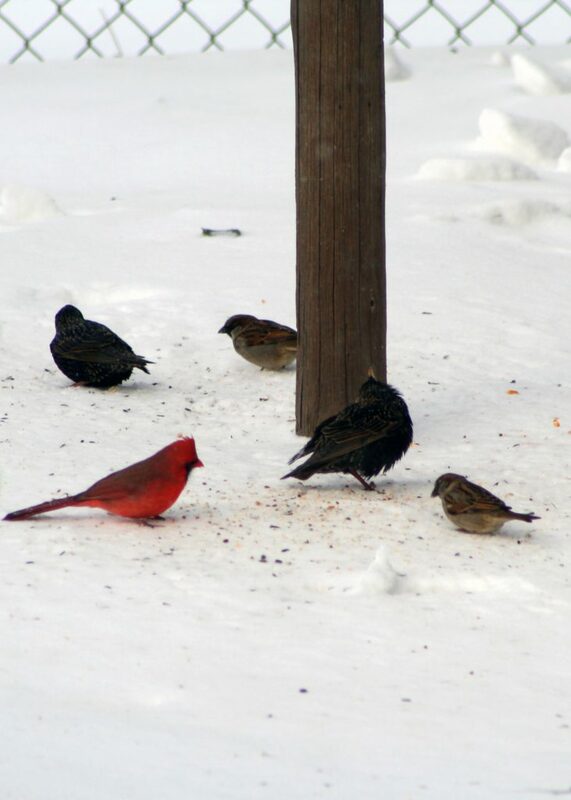 Cardinals are some of the easiest to spot with their bright red feathers. Others you might see include chickadees, titmice, and downy woodpeckers. But have you ever wondered — why don’t these birds find a warmer place to spend the winter? The answer has a lot to do with expended energy and the availability of food. It takes a lot of energy for a bird to migrate. But when the change in seasons means less food is available, it’s worth it to a bird to make that journey. Otherwise, the bird would not be able to survive through the winter. Birds that eat flying insects or nectar have to head south. On the other hand, birds that eat certain types of seeds can usually find enough food. So can birds that look for insects or spiders under tree bark. These birds convert the food into body heat to survive even the harshest weather. For them, it is not worth the energy it would take to migrate. 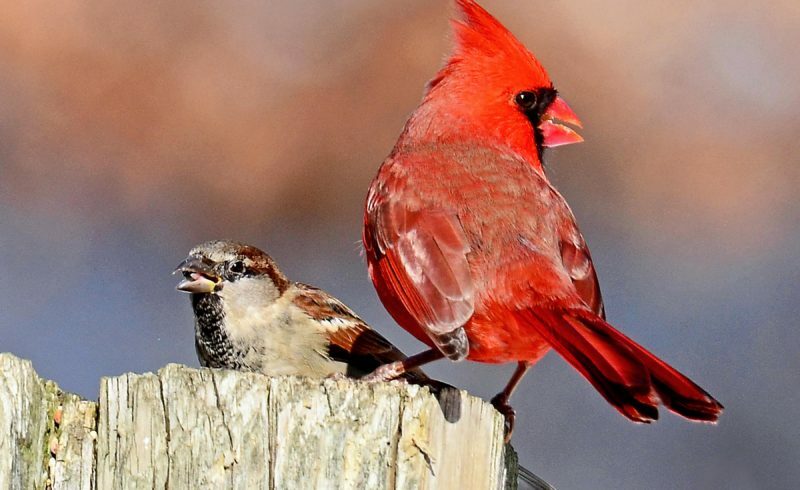 Some species, like cardinals, have even moved northward over the years. In the 1920s, they were uncommon in New England. Today, they reside in the area year-round. This is due in part because people are supplying them with food in the winter. Birdfeeders filled with seeds have allowed them to expand their range. Check out some of these great sites! “The Trail in Winter: Winter Birds.” Penn State. “Why Don’t All Birds Fly South for the Winter?” Tufts Journal. Tufts University.